CHAPEL HILL, NC – Wandering through the woods behind Craige residence hall several hours after getting out of his Tuesday afternoon industrial organization lecture, junior economics major Hugh Lofton was confronted with diminishing marginal psychedelic returns from his third tab of the hallucinogen Lysergic Acid Diethylamide (LSD). The principle of diminishing marginal productivity, to which Lofton was introduced by Economics 101 lecturer Rita Balaban in the fall of his freshman year, aptly described the reduced synesthetic, ego-dissociative yields that the finance industry-hopeful experienced from subsequent doses of the drug, to which he was introduced by his suitemate, Skeeter, in the fall of his sophomore year. “It’s all supply and demand in the end,” Lofton was heard muttering as he sat with his legs outstretched at the base of an oak tree. 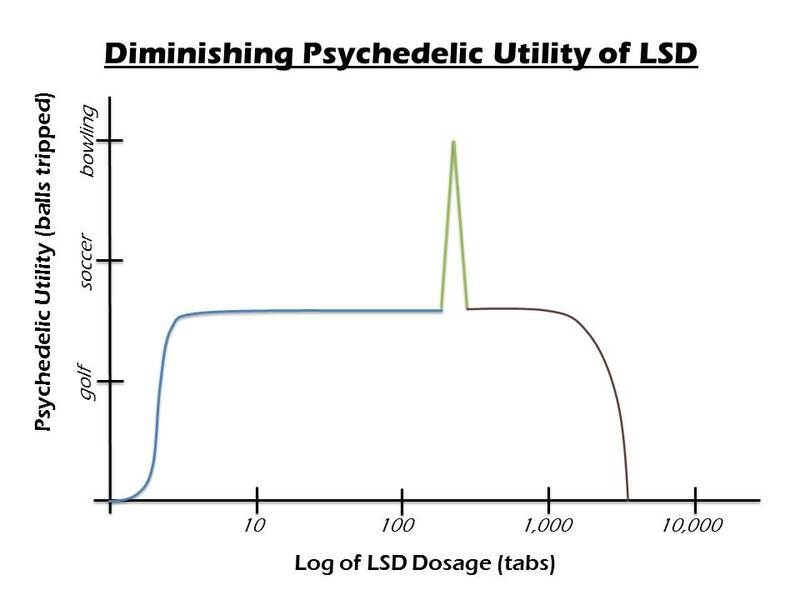 Lofton’s first tab of LSD, which he took soon after completing homework for his game theory class, reportedly gave the economics major robust psychoactive gains–making the bulletin board outside his room into “telescoping candy colored rectangles,” and producing “patterns of dancing music on the inside of [his] eyelids.” After Lofton’s second dose, taken in Skeeter’s room, where he had gone to watch Archer on Netflix, a smoky visage of microeconomics lecturer Jeremy Petranka appeared before him, encouraging Lofton to “taste [his] own senescence” and to stop by office hours, if he felt like it. “I’m just Dr. J. I’m cool man,” said the hallucination. After Lofton dropped a third tab, however, the Econ 410 instructor melted into the physiognomy of Professor Balaban, who lectured Lofton on public goods and insisted that alcohol is superior to other drugs. It was at that point that Lofton realized he was gaining less and less the more LSD he took. He adjourned back to his dorm and reportedly watched his ceiling breathe for the next three hours. According to Pavithra Appadurai, a UNC economics professor whose recent book, Third Eye and Demand explores the microeconomics of recreational hallucinogenic use, Lofton’s experience was not uncommon. Despite his economic reality, Lofton gave no indication that he planed to modify his acid-taking behavior. “I don’t, but I want to,” he said.